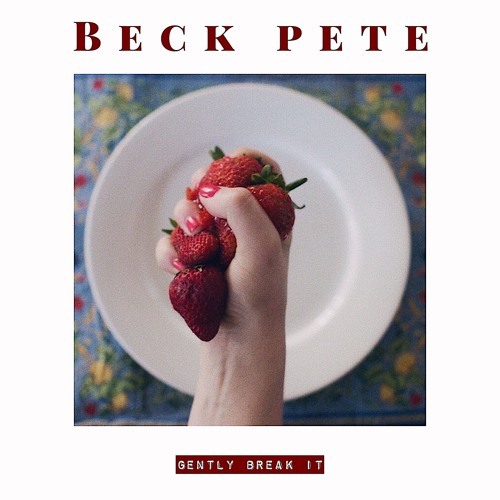 LA-based singer/songwriter Beck Pete has just unveiled her brand new single Gently Break It, a song that sheds a light on unhealthy releationships where a woman convinces herself that she's underserving of love. The gorgeous guitar riff is what instantly drew my attention to the song and I am quite happy with this one. Beck's vocals are quite distinctive and are packed with lots of energy and emotion. Gently Break It is a super infectious piece of indie-pop music with intricate hooky melodies and you can stream it below! I have been that girl, and can’t say that I won’t be again. I’m just hoping that this song serves a reminder of that tendency, and spreads awareness to everyone who hears it that, one, they are not alone in this cycle and two, they can break it by believing they are worthy of something positive and healthy.